And we cooked bits of bacon in the waffles. Sooo good. When I was younger I’d pick out the pieces so I could eat them all at once. We’d put the cooked waffles in a warm oven right on the racks until we had enough waffles for all 8 of us to eat a couple before they ran out. And my wonderful mother would spend the rest of the meal getting up and down, cooking more waffles to keep up with the family. 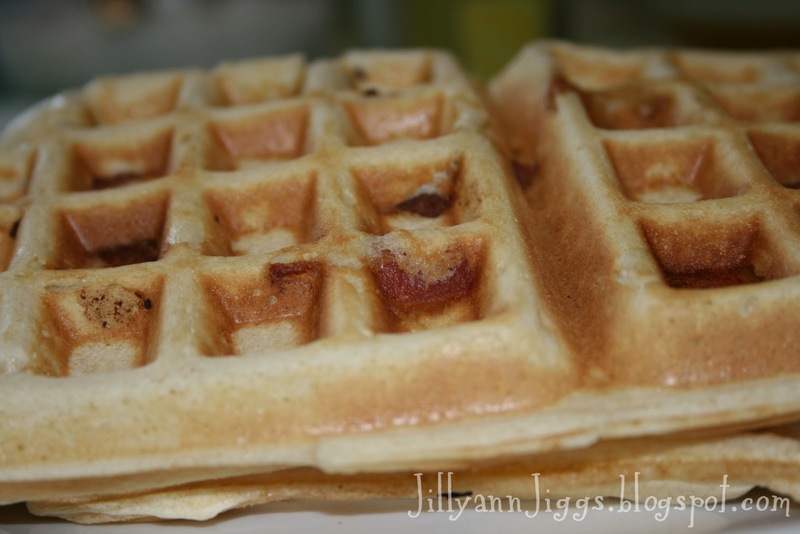 We froze any leftover waffles and toasted them in the morning just like eggo waffles. If you do that, it’s better to have the waffles less crisp so they aren’t so crunchy after being toasted. Sift dry ingredients; add egg yolks and milk (water). Beat until smooth. Add butter or oil and stir in. Beat egg whites until stiff, then fold into batter. 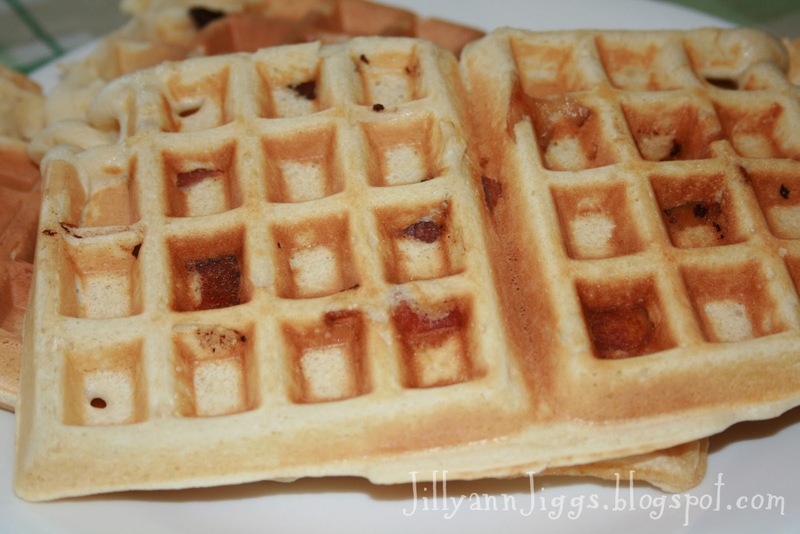 Bake in waffle iron. Look at those lovely pieces of bacon. I've never heard of putting bacon in the waffles. sounds tasty!